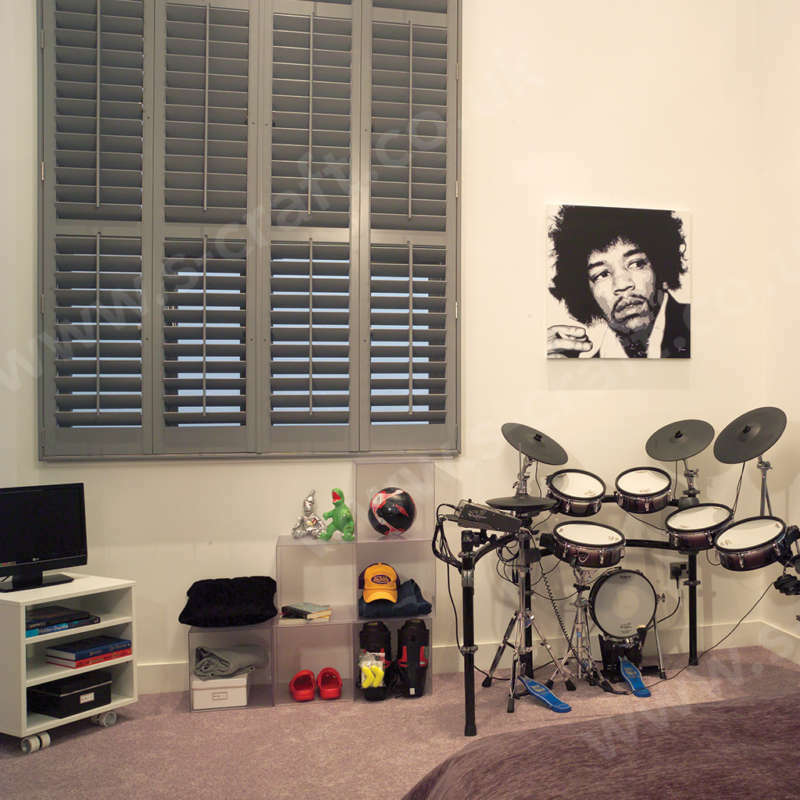 ﻿ Remote Control Window Shutters Winchester &… | The Great Shutter Co. 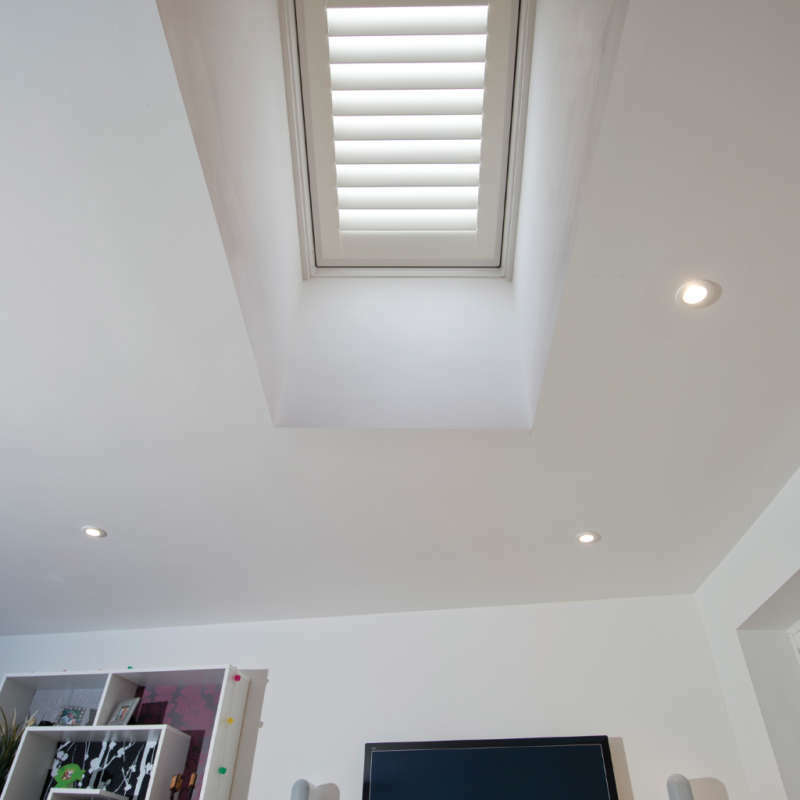 Whether you have had a skylight shutter installed that is hard to access or you just like to be able to control your shutters from the comfort of your sofa our remote control shutters are the answer. With an iPhone type remote control you can individually control banks of shutters or even pre-programme them to open or close at specific times of the day. Or if you would like the louvres to be at certain angles at certain times of the day this can all be pre-programmed. How does the remote work on the remote controlled shutters? The remote has 5 separate banks of remote controlled shutters that you can programme. So say set 1 is for your living room, set 2 for the kitchen and set 3 for your tracked shutter run in front of your bifold doors you can operate these all separately by simply pressing the number assigned to the shutter set. If you wish to operate all at the same time there is an all button. The remote control has a number of different louvre angles that are show on the remote - simply press the number of the set that you want to operate and then select the angle – the louvers will move to that angle. Will my remote control shutters be noisy? These remote control shutters operate practically silently. 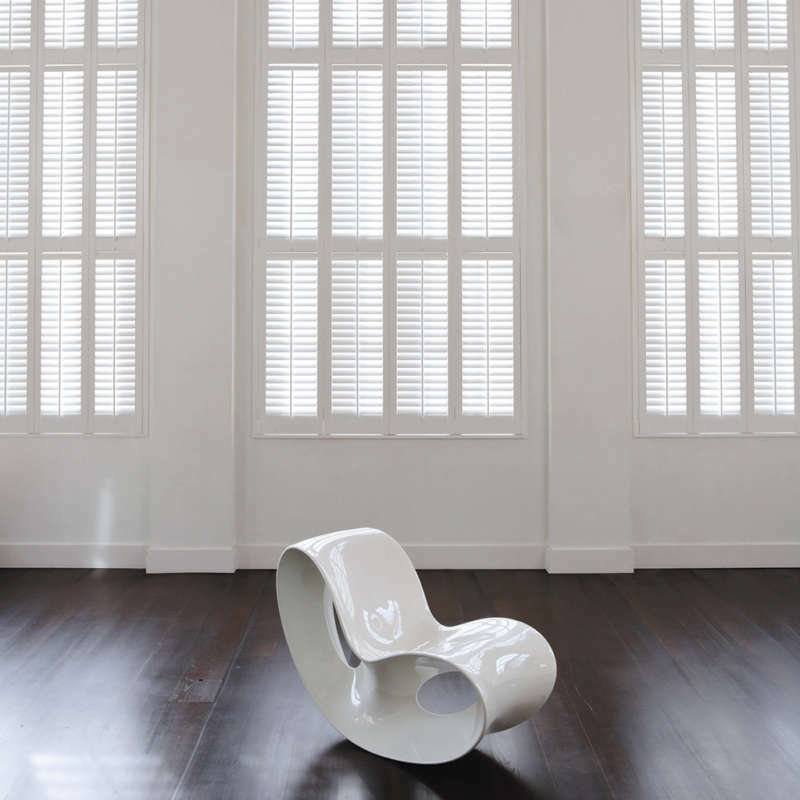 The older style remote control shutters have a distinctive whirring sound. 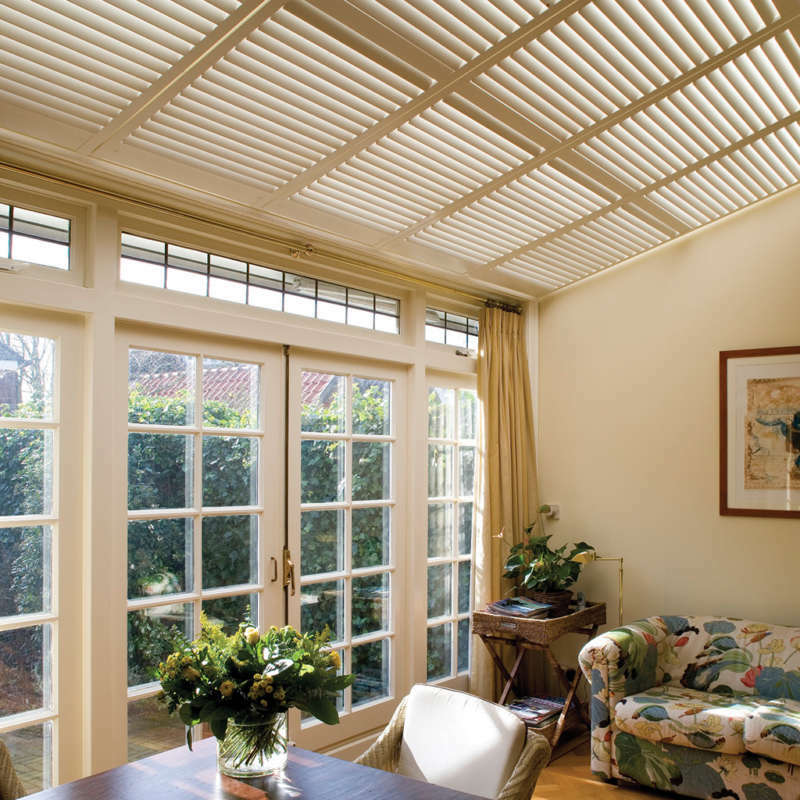 On this system the louvres move smoothly and silently and add a real wow factor to your home. Will I need to get an electrician in to wire up the remote control shutters? No, the battery pack is built into the stile of the shutter – see shutter terminology - and this operates the mechanism that controls all the louvers in that set. Each battery pack operates on set of louvered shutters. So should you for example want to split a shutter panel into two independently controlled sets of louvers then you will need two battery packs. This is important for example if privacy is important to you as you may wish to just open the top half of the shutters by using your remote. We also offer a solar powered remote control shutter and this is great if your window is inaccessible on a regular basis. As long as the window had access to direct sunlight then the battery is trickle charged on a continuous basis. If your window is in a shaded area then we would not recommend this option. Infra-red or radio remote controlled shutters? We don’t use infra-red control for our remote controlled shutters because these actually limit what you can achieve in terms of flexibility. Infra-red requires a direct line of sight to the shutters and requires a beam to hit a magic eye. In general this means that you need to be accurate with the remote and if you are trying to operate several banks of shutters at the same time then this becomes difficult as you need to hit several magic eyes at once. The beauty of the radio controlled shutters is that you can control your shutter over large distances and be able to operate several sets of shutters at the same time.